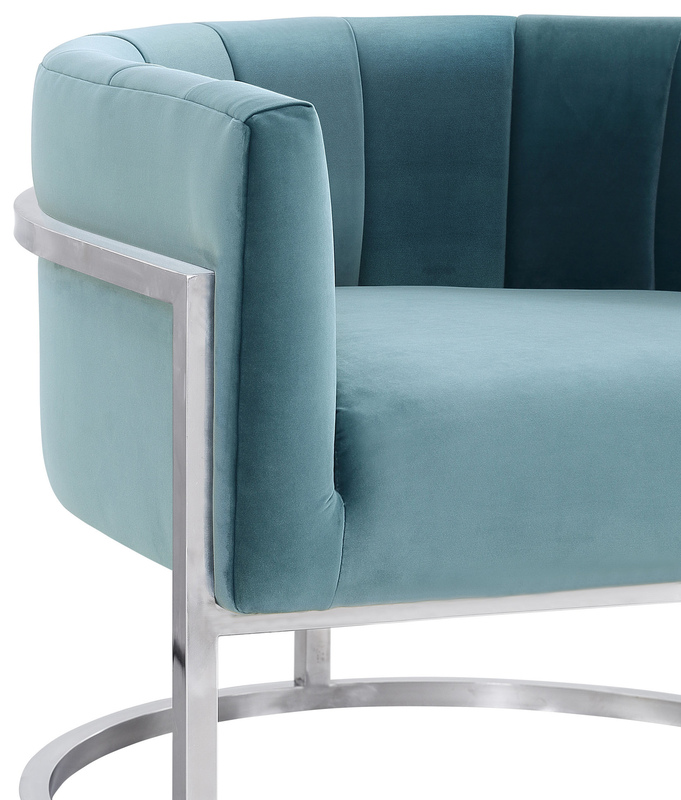 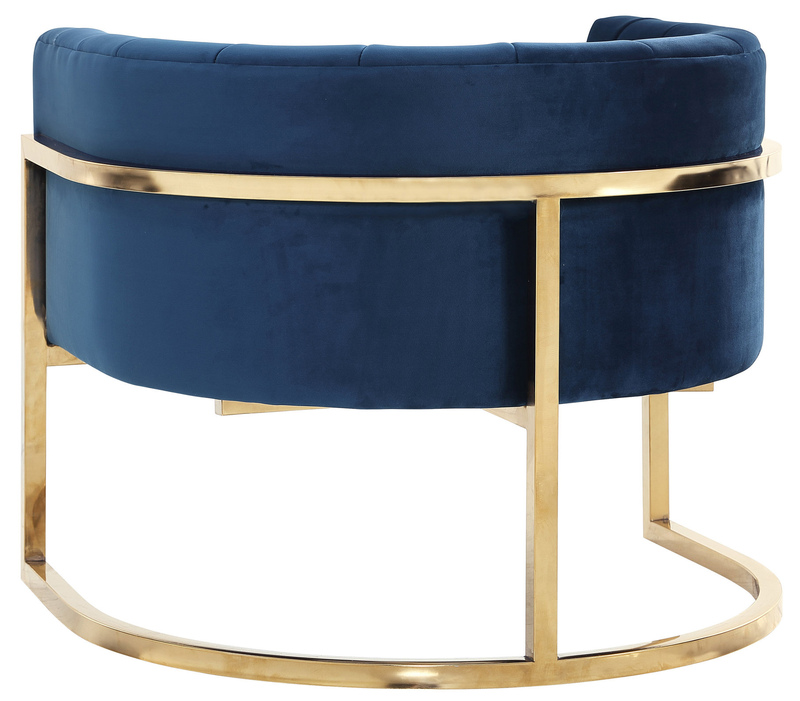 Trend setting colors and metal detailing make the Chandler Chair the new must-have. 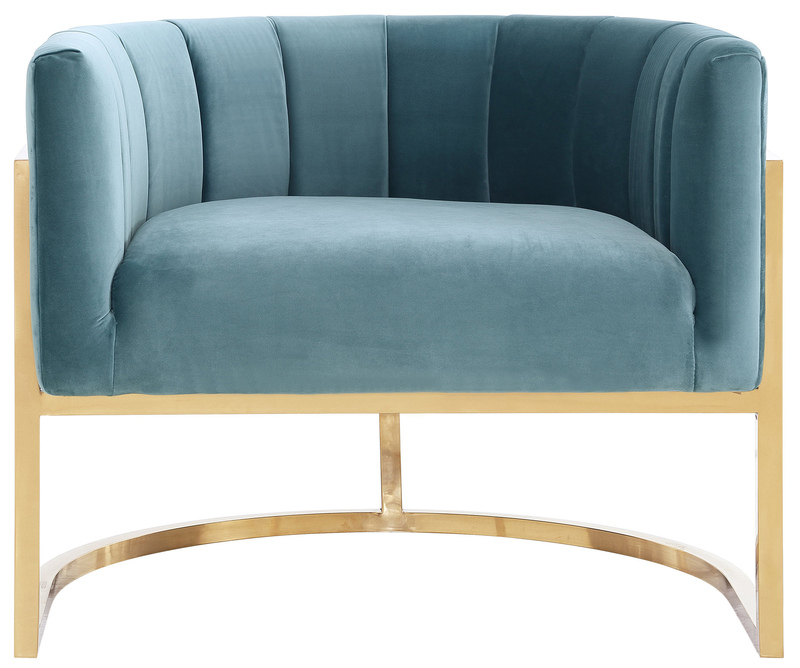 Fabulously chic from any angle, the Chandler will no doubt dazzle in any room. 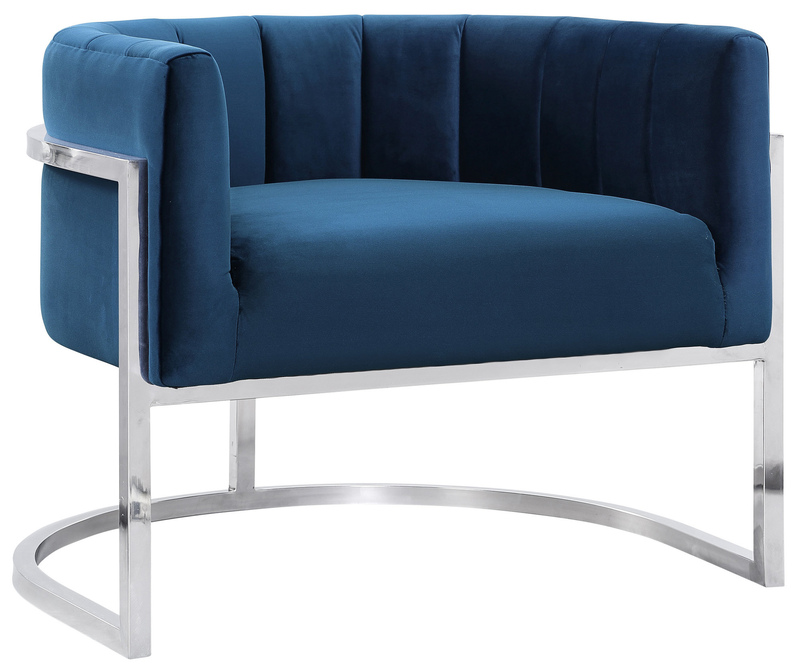 Available in sea blue or our signature navy velvet with a gold or silver steel frame.